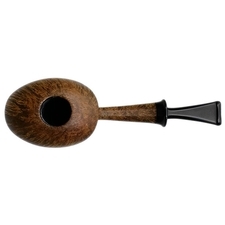 While Gian Maria Gamboni takes much of his inspiration from nature, the Zantaf is an unusual, though playful exception to that rule. 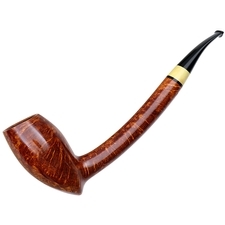 Named after an obscure Disney villain associated with Donald and Daisy Duck, this shape is something akin to a forward-canted Tomato, with a triangular, domed rim and sweeping line from heel through shank. 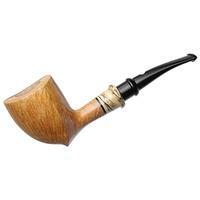 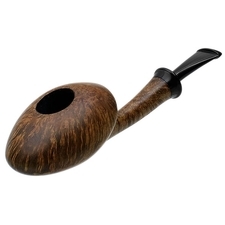 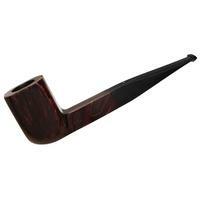 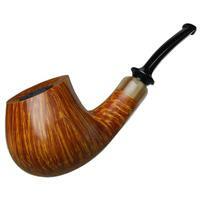 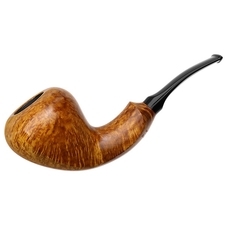 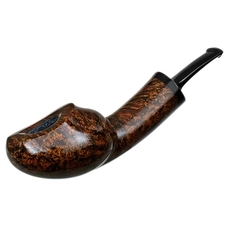 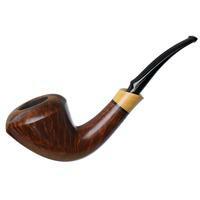 It is this triangular shape that gives nod to its namesake, alluding to Zantaf's protruding beak, though it also serves to keep the pipe surprisingly natural in hand. Its smooth finish and warm contrast stain both provide a means of highlighting elegant, windswept grain, as well as giving a polished stone-like texture. 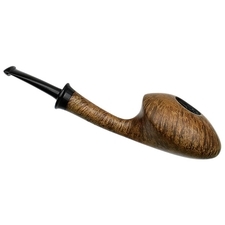 With Gamboni's usual organic touches and an offbeat, whimsical source of inspiration, this well-executed piece is certainly an attractive design that should please Gamboni and Disney fans alike.